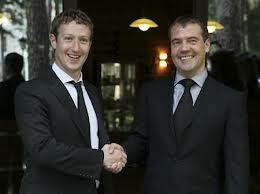 Russian Prime Minister Dmitry Medvedev had a meeting with the founder of the social network Facebook Mark Zuckerberg. Dmitry Medvedev and Mark Zuckerberg discussed the possibility of the Facebook presence in Russia as a software development company. Participants of the meeting also talked about IT business in Russia, the problems of copyrights in the Internet and prospects of the startups in the “Skolkovo”. Facebook’s founder said that he was very interested in visiting Russia and made a small present to the Russian Premier: t-shirt with the web address of the Medvedev’s Facebook page. 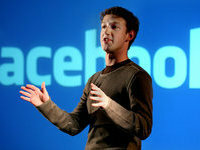 Internet users also mentioned that it was the first time when Zuckerberg changed his usual shorts for a nice suit. However, for the breakfast Mark chose a simple pizzeria instead of an expensive restaurant in Moscow. 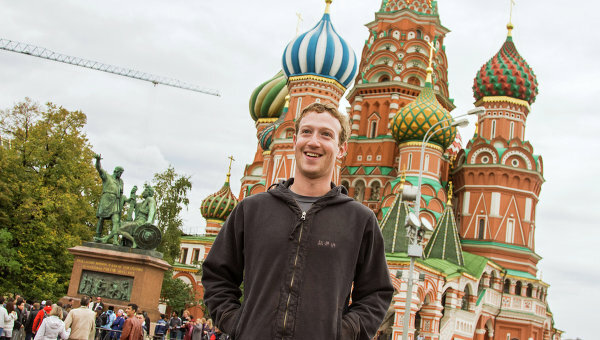 Zuckerberg came to Russia not only because of the Facebook Hacker Cup competition (in 2012 Russian guy won it), but also to communicate with programmers and developers of the applications for social networks. He also noted that Facebook team created only the basic platform with the basic functionality, but the large number of Facebook applications were produced by the third-party developers. Facebook can provide access to the 1 billion of possible users and encourage application developers to create apps for the social network. 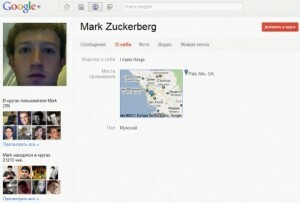 The main competitor of Facebook in Russia is a social network “VKontakte”, which has 140 million registered users. The daily audience of “VKontakte” is over 38 million users. For comparison, according to SocialBakers, Facebook in Russia has about 6.7 million users. 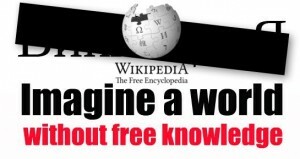 Categories: Facebook Interviews, Facebook News.